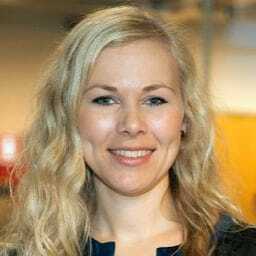 Trine Falbe - SmashingConf Freiburg 2018, September 10—11. Trine Falbe is a researcher, consultant, speaker and lecturer focused on empowering people through ethical design. She is the author of the book White Hat UX. She is deeply committed to working truly human centered and building honest, transparent experiences. Over the past years, a lot of her work has been focused on designing for, and with children. The children of today are growing up in a different paradigm than their parents, who might even remember what the world was like before the Internet! This impacts the way they perceive and interact with the world around them, especially with digital products. In this talk, Trine will explain how kids develop and learn, and how to design digital products that help them grow rather than dumb them down.